Are you looking for a super high traffic, newly constructed Mexican food shop with great sales volume and even a drive thru? This is absolutely your place. Frontage on Camino De La Plaza so you know the visibility is outstanding. This place at this price will not last. The interior has all new construction from the beautiful granite table tops to the all new stainless appliances completing this fully equipped kitchen. There are two POS system registers to handle the business flowing through here. Currently averaging $1500-$2000 per day with out even trying! Buyer must validate the sales as broker doesn't validate the owner's information. Imagine the possibilities when the shopping season kicks in and any type of marketing plan is implemented. The space is a well designed 1851 square feet with base rent of $6,200/month. CAM is $869/month bringing total rent to a managable $7069 for a drive-thru! 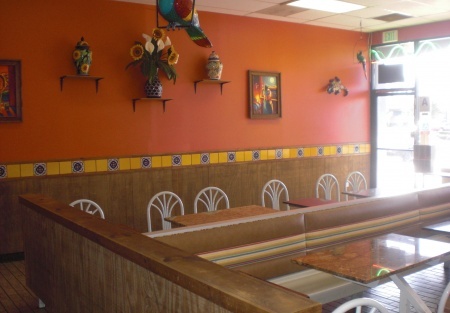 With this location that is money well spent, you will not find a better location for Mexican food in the county. Current lease expires in 2018 with a five year option available. If you are thinking high volume, super location, turn key restaurant this is your place. Get it now before the opportunity passes you by. Select the orange button titled "Want Name and Address" and go out and visit the restaurant as a customer. You won't be disapointed!This is a Stone Path Brokerage Services, Inc. DBA Selling Restaurants San Diego listing.